Ruta Verde is a tour agency created in 2006 in the Bolivian tropical city of Santa Cruz de la Sierra. The company was founded by a Dutch-Bolivian couple who wanted to share the beautiful Bolivian treasures with the rest of the world. Check our positive reviews on Tripadvisor. 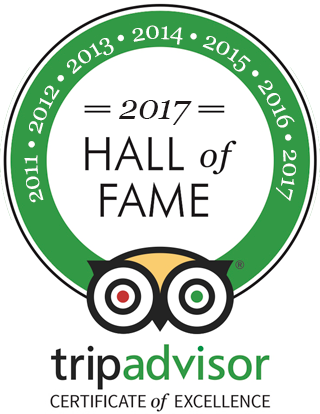 In 2018, for the 8th year in a row, we received our certificate of excellence from Tripadvisor. It shows our dedication and attention to detail in maintaining high quality tours year after year since 2006. Our client welcome centre is located in the heart of old downtown Santa Cruz and very easy to reach. We suggest to contact us in advance by e-mail so we can guarantee tours availability.